KIGALI – A confidential letter written by Uganda President Yoweri Museveni to Rwanda’s Paul Kagame over the ongoing conflict has provoked a hilarious reaction from social media in Rwanda. The letter is published in the Tuesday edition of the government-owned New Vision daily newspaper. Rwandans claim there are several points that seem strange in the way President Museveni explains them. 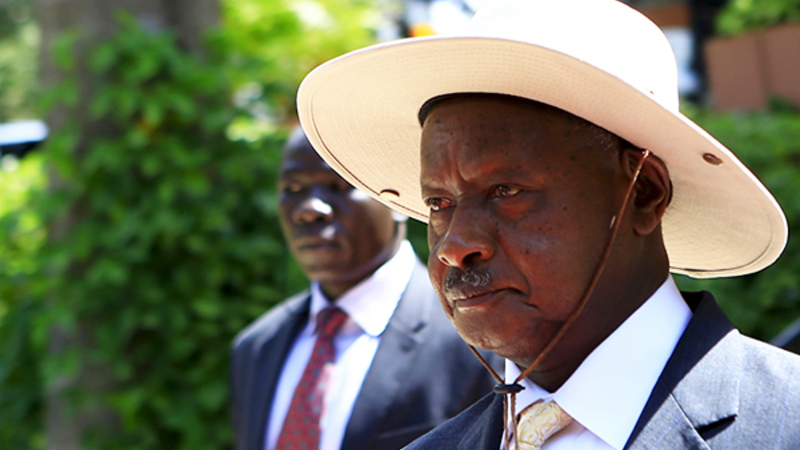 There are other cases of meetings that Museveni had with Rwandan dissidents, that he says were by “accident”. The admission was contained in a letter addressed to President Paul Kagame, also published in the media. Among the dissidents hosted by Mr. Museveni include Tribert Rujugiro and Charlotte Mukankusi, the Head of Diplomacy of Rwanda National Congress (RNC), an organization implicated in the spate of grenade attacks in Kigali between 2010 and 2013 that killed several Rwandans and injured many more. “I am writing to let you know that by accident, I, at last, had a meeting with a Rwandan who admitted to being a member of the group you told me about – Rwanda National Congress (RNC). This is a lady known as Mukankusi,” the letter by Museveni read in part. It is this version of events from President Museveni that has provoked social media laughter with #WriteLikeMuseveni on Twitter and Facebook. But seriously who writes for Sevo? As in, I accidentally support your enemy. I accidentally hate you. In a March 10th letter, carried by state owned @newvisionwire, Uganda’s president @KagutaMuseveni confirms that he, accidentally, met with a member of RNC, a group the Rwanda government considers hostile to the Rwandan people.